Superb return from original Chain Reaction figure and all round techno legend, Vainqueur aka René Löwe. 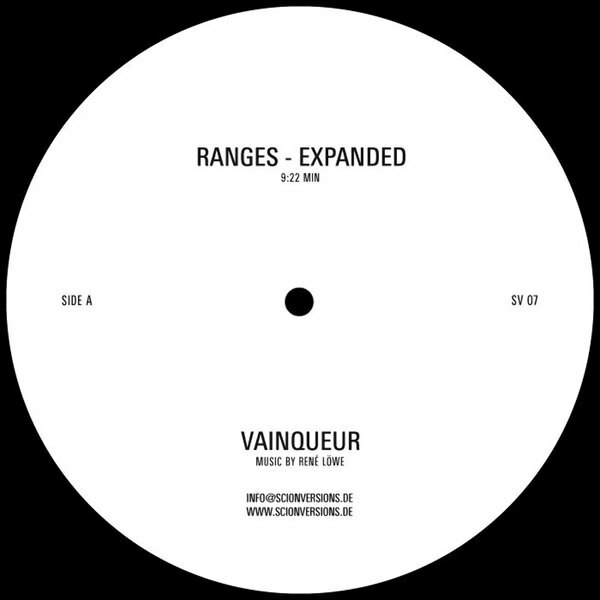 'Range' is his first solo transmission in over 13 years and is worth the wait, following a string of Scion Version productions with DJ Pete and a sublime remix for Basic Channel's 'See Mi Yah' series. 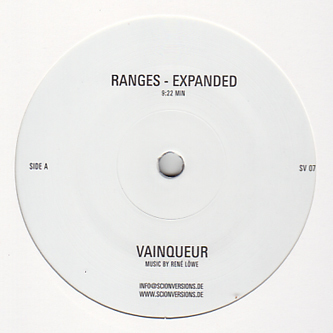 'Range-Expanded' is the more driving, dancefloor friendly of the two tracks, crafted with lissom licks of effervescent dub chords and grandly spaciously atmospheres over an elegantly motorik dub bass. This is a true masterclass in the subtleties of refined, hypnotic arrangements with a pedigree perception of space and time in the most classic sense of dub and techno music. On the flip 'Ranges - Theme' alters our perception of space with a retuned reverb setting, opening the dub chord shapes into wispier tendrils of static ephemera dissipating to the peripheries while the bass holds a leaner steppers pattern. These tracks aren't about walloping bass weight, they're about firm, supple pressure and rich dub principles which have been lost in translation over the last decade. Highly recommended!